LENGTH REDUCTION: REDUCE THE LENGTH OF YOUR BUFFER TUBE BY OVER 5″. 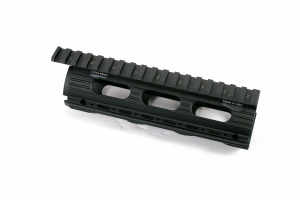 THE 2.55″ MCS BUFFER TUBE IS THE SHORTEST FOR THE AR-15 PLATFORM. 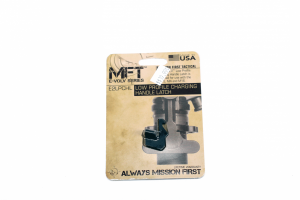 THE DFA MCS AR-PISTOL KIT CONSISTS OF THE FULL MCS (COMPLETE BCG, SPRINGS, PLUNGER, BUFFER TUBE WITH GUIDE ROD AND END CAP). NOTE: THE FOLDING BLOCK ASSEMBLY IS NOT INCLUDED WITH THIS SYSTEM. COMPATIBLE WITH .223, 5.56, AND 300 BLACKOUT. 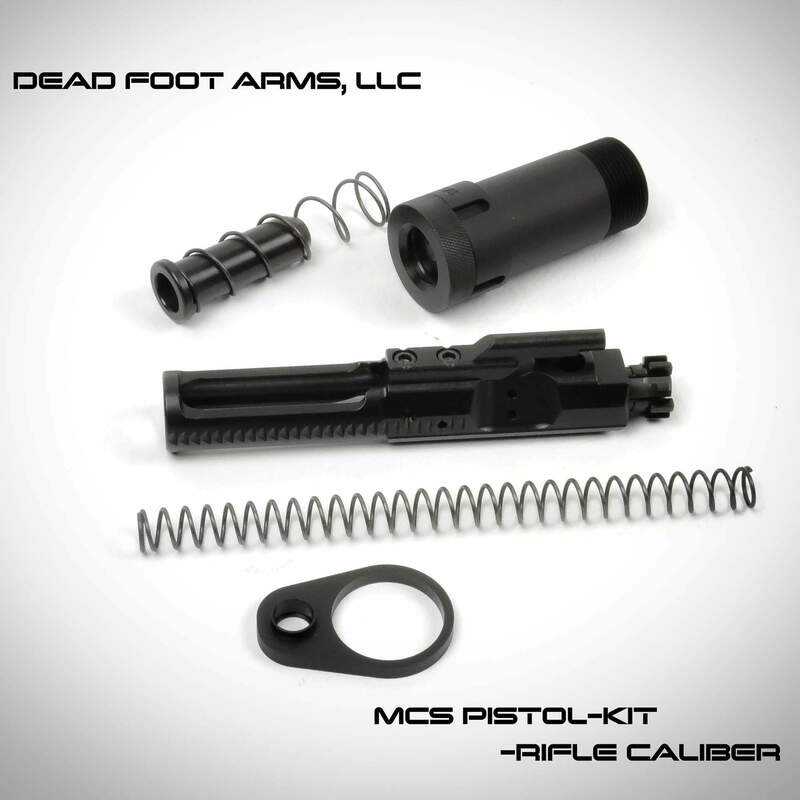 Dead Foot Arms MCS AR-Pistol Kit is our complete short tube conversion kit. It includes: Buffer Tube and End Cap Assembly, MCS M-16 Bolt Carrier Group finished in TB-41 ION Bond DLC (Diamond Like Coating), end plate with QD port, plunger, and recoil and buffer spring. * NOTE- BCG Modification Program Purchases do not include the MCS Bolt Carrier Group. NOTE- This product does not include the the folding stock adaptor. However, the user can later add the MCS folding adaptor to this system by ordering our Pistol Kit to MCS Folder conversion kit.